Congrats to !! Come back on Wednesday play our super easy blog game!! Then you too can win a coupon to Connie's store! It's Bake Sale time at Gingerscraps! You have 5 days to get three awesome kits for only $1.00 each! Grab the latest in the Travelogue Series! Get 4 full template packs for one low price until Wednesday! There's only a few more days to get these retiring products before they are gone! 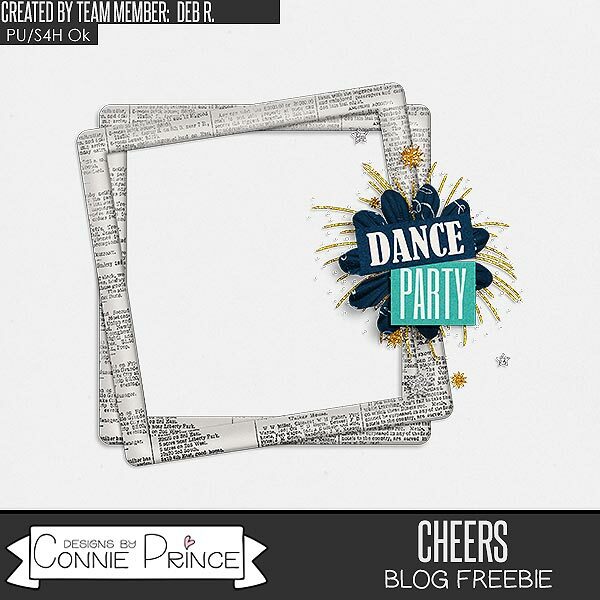 Deb R Made you this cluster frame using Cheers!